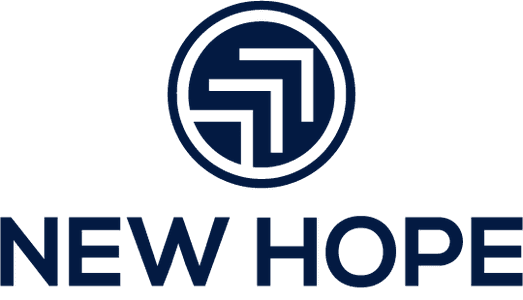 Why Preschool at New Hope? New Hope Preschool strives to provide social, academic, emotional, and Spiritual growth for 3, 4, 5, and 6-year old children in a positive Christian environment of Developmentally Appropriate Practices focused on meeting the individual Learning Style needs of every child.  What is a day like at New Hope Preschool? Our M/W/F morning preschool class is designed as a 4K experience. Children entering this class must be 4 years old by September 1st. Our M/W/F afternoon preschool class is designed as a multi-age environment. Children must be 3 years old by September 1st to enroll in this class 4 and 5 year olds can also be enrolled in this session. Art Exploration and Child Directed Play: (9-10am or 12:30-1:30pm) Play is a child’s work! During this time, the child is able to work at a variety of Learning Centers set up by the teacher to provide maximum learning for the children through his or her own discovery. This time slot also provides opportunity to explore paint, clay, dough, water and sand, in addition to other media. This block of time will also provide many opportunities to begin the discovery of Science, Math, Social Skills, Cooking, Emergent Literacy, Reading, Writing, and Language Development! Together Time includes a gathering time to discuss God’s World Today: calendar, weather, helper for the day, and news! The calendar includes learning the month name, year, and LOTS of counting! Jesus Time provides the children with the opportunity for spiritual growth in the love of our Lord and Savior, Jesus! This love is always in the forefront of all our learning experiences. Group Bathroom Break and Snack Fingerplays and Music (10:20-10:30am or 1:50-2pm) Please know that the children are always free to use the bathroom at any time. This time is set aside for hand washing before snack. Through music and the use of fingerplays, much literacy and mathematical foundations are developed. Gross Motor Development (10:30-11:00am or 2-2:30pm) New Hope Preschool provides opportunity for the total child to develop daily. Children will be given time for outdoor or indoor gross motor play on a daily basis, in conjunction with visual developmental skills. Water Break, Learning Extensions, Daily Review, and Closing Prayer (11-11:30am or 2:30-3pm) Water is critical to healthy brain development. This also provides a quiet time after active play. The children have the opportunity to continue the discovery of Science, Math, Social Skills, Cooking, Emergent Literacy, Reading, Writing, and Language Development in a small group learning environment. We always review our day together and close with Jesus. There is so much learning that goes on in an Early Childhood Classroom, that it is impossible to list every activity. Our schedule is flexible and will vary from day to day within the confines of these major blocks of structured time. Many special days will be implemented into the program: Field Trips, Library Trips, Holiday Celebrations, and much more! Our T/Th morning preschool class is designed as a 3K experience. Children entering this class must be 3 years old by September 1st. Art Exploration and Child Directed Play: (9-10am) Play is a child’s work! During this time, the child is able to work at a variety of Learning Centers set up by the teacher to provide maximum learning for the children through his or her own discovery. This time slot also provides opportunity to explore paint, clay, dough, water and sand, in addition to other media. This block of time will also provide many opportunities to begin the discovery of Science, Math, Social Skills, Cooking, Emergent Literacy, Reading, Writing, and Language Development! Together Time and Jesus Time (10-10:15am) Together Time begins our day together as a group. During this time we will discuss what day it is, what month it is, practice our counting, talk about what the weather is like, and find our leader of the day. Jesus Time provides the children with the opportunity for spiritual growth in the love of our Lord and Savior, Jesus! This love is always in the forefront of all our learning experiences. Group Bathroom Break and Snack Fingerplays and Music (10:15-10:30am) Please know that the children are always free to use the bathroom at any time. This time is set aside for hand washing before snack. Through music and the use of fingerplays, much literacy and mathematical foundations are developed. Gross Motor Development (10:30-10:50am) The children will always be given a balance of small and large motor opportunities for growth while at Preschool. Both outdoor and indoor facilities are available for the children to utilize. Water Break, Daily Review, and Closing Prayer (10:50-11:00) This provides a quiet time after active play, review of our activities of the day, and closing with Jesus! Children must be 3 or 4 years old by September 1st, meet required immunizations, and be toilet trained. New Hope Preschool admits children of any race, color, national or ethnic origin to all rights, privileges, programs and activities generally accorded to students at the Preschool. New Hope Preschool does not discriminate on the basis of race, color, national or ethnic origin in the administration of its educational policy, admissions policy, or other school administered programs. New Hope Christian School holds an ALL SCHOOL Open House every year for parents and children to come explore and ask questions. The next open house will be held on Monday, January 28th, 2019 from 6-7pm. We'd love to have you join us. Questions?  Use the contact button below to send a message to the New Hope Preschool team!